This has been a firm favourite of mine for ages. The colour is perfect for contouring the face and adding warmth, without looking orange or muddy. 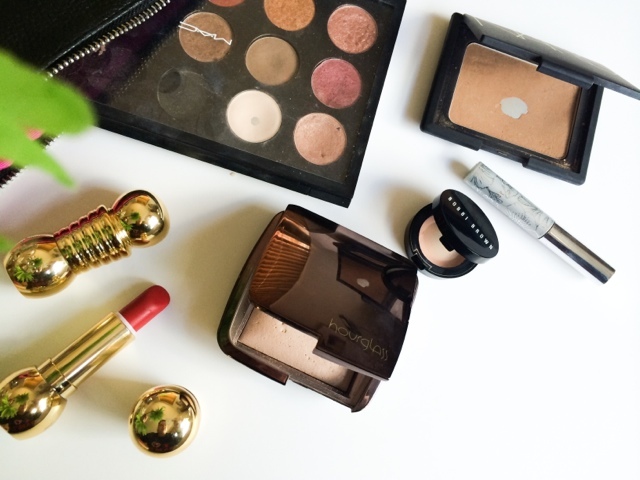 It contains a tiny amount of shimmer, which is visible in the pan but undetectable when on the skin and is just one of the best bronzers I've ever tried! These lipsticks are not only stunning to look at but pack one hell of a punch when on the lips. The semi matte finish is pigmented without being drying and lasts a considerable amount of time on the lips without smudging or bleeding. I don't tend to use this powder on a day to day basis and save it for special occasions or when I want to look particularly polished and put together. The powder delivers a soft focus veil across the skin almost like an Instagram filter would. It blurs out fine lines and pores, and does so without looking heavy or cakey on the skin. I know I'm not the only one who loves these! The vast colour range means you can create any make up look you want in a variety of finishes and tones. The shadows are buttery soft and blend like a dream, making them easy to work with and a must have item for any beauty junkie. If you suffer from dark circles, then you need this in your life! The cream counteracts the blue and purples tones under the eyes, making them look fresher and more wide awake. There are a variety of different shades, all catering for different skin tones and colourings to make sure the shade is perfect for you and your needs. This mascara is fantastic for separating and defining the bottom lashes. The tiny wand makes for easy application and the formula makes sure the mascara stays put throughout the day without smudging or transferring. No panda eyes with this baby! This is my go to blush, it manages to compliment and adapt to any make up look. The rich coral shade leans on the red/natural flush tone on me, warming up my complexion nicely and offering a subtle sheen to the cheeks. Much like the eye shadows they offer, their lipsticks come in a array of shades and finishes. My personal favourite finishes are the Crème Sheen, Satin and Matte. The colour selection ranges from natural everyday wear, to the extreme for a more high fashion or daring look. This looks natural and skin like when applied and delivers excellent blendable coverage. The finish isn't overly dewy ( which I like) but just looks healthy and lit from within. It's a great foundation to have, perfect for everyday or a special occasion. Want high coverage that doesn't crease and lasts all day? Well this is the concealer you need. I tend to use this around the eye area in a lighter shade to my foundation to highlight and contour the face. The concealer easily erases discolouration and is perfect for creating a flawless base. I never thought I would love a foundation brush as much as I love my Real Techniques Buffing Brush, but this one is a total game changer in my opinion. It distributes my foundation evenly, and quickly delivers a flawless airbrushed finish, while somehow managing to make it look like I'm not wearing anything more than a tinted moisturiser. I don't know how it does it but it's fab! This is great at highlighting the face and lightening any dark areas I have. The pen has a slight yellow tone to it which helps to counteract redness making the skin look more even, and by placing it on all the high points of the face makes it appear to have more structure and definition. What are your high-end favourite make up items? 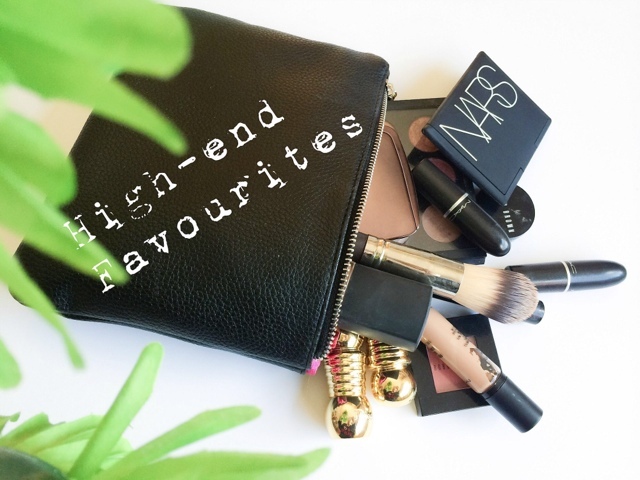 Did you catch my post on Best of Highstreet Make up? Lovely picture, you have some amazing products! 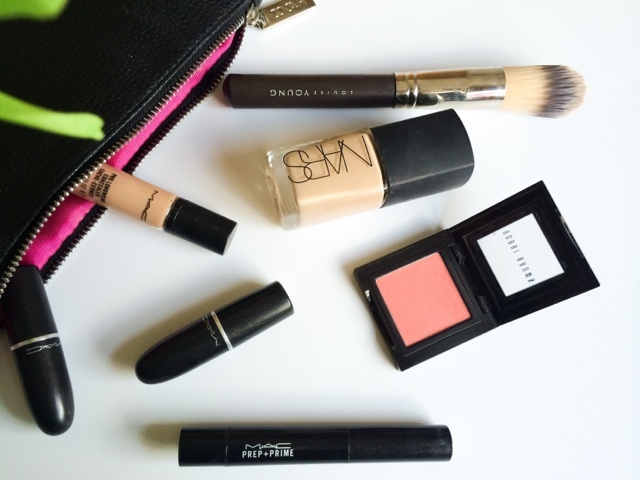 I love mac lipsticks too, and really want to try the nars sheer glow foundation!